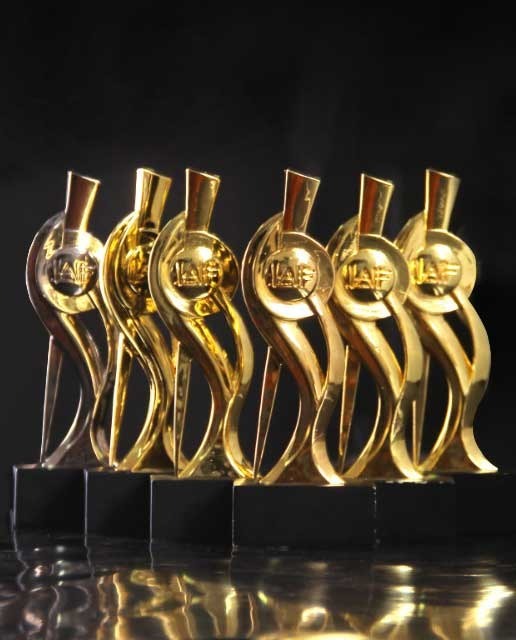 The exciting Television Commercials, TVCs, and radio jingles of the grandmasters of data, Globacom, were handsomely rewarded at the just concluded 2018 Lagos Advertising and Ideas Festival (LAIF),where they won 6 gold, 2 silver and 4 bronze medals in various categories. At the awards, the company’s commercial tagged “Rhythm” which related African dance steps with football moves to demonstrate that African football moves were inspired by the rhythm of African dances broadcast during the 2018 World Cup in Russia won gold in three categories, namely Film Corporate Image category, Travel, Tourism and Entertainment category of Film and Best Production Design and Art Direction in Film Craft. Besides “Rhythm”, other Globacom campaigns that won gold medals at the awards recently held at the Landmark Event Centre, Lagos, included “Glo Flatmates”, that used the jollof rice challenge between Nigeria and Ghana to promote the Glo Lafftafest organized in Ghana which led in Film Promotions and “Glo Spoken Words” adjudged the best in Radio Telecoms Products and Services as well as Radio Craft (Best Use of Copy). For bronze medals, Globacom campaigns that garnered medals in that category included the star-studded “Glo Laftgasm” in the Film Travel, Tourism and Entertainment category , “Experience the legendary game” which won bronze in the Film Telecom Products and Services, the “Spoken Words” in Radio Craft (Casting and Performance) and “Glo Data Unmatched Unfair Advantage” adjudged bronze winner in the Campaign Category. “This email, together with any attachments, is for the exclusive and confidential use of the address(es) and may contain legally privileged information. Any other distribution, use or reproduction without the sender’s prior consent is unauthorized and strictly prohibited. If you have received this message in error, please notify the sender by email immediately and delete this message from your computer without making any copies.